It's well documented and a huge understatement that Fox News wallows in its own egregiously awful standards -- far worse by a factor of a thousand than any other cable news outfit. 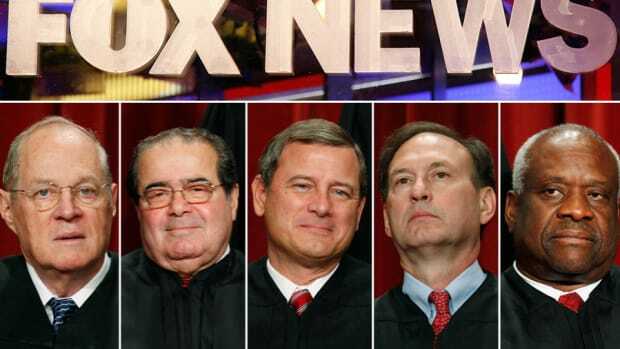 The very existence of integrity-free Fox & Friends alone would make Paddy Chayefsky and Edward R. Murrow spin in their graves, say nothing of the existence of the standard-less network on which it airs. 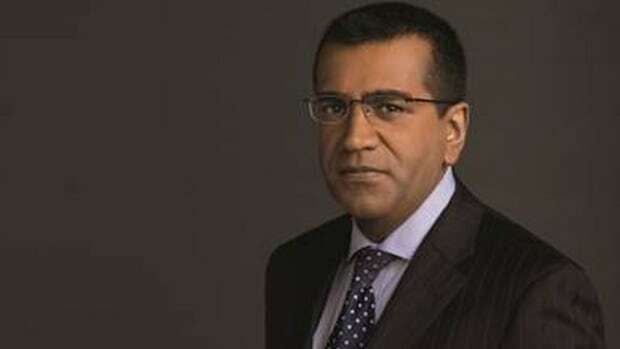 Today on Fox & Friends, Sarah Palin praised MSNBC for accepting Martin Bashir&apos;s resignation after the anchor delivered a monologue in which he suggested pooping in Palin&apos;s mouth. While in poor taste, the line was a reference to the treatment of slaves in the old South in an attempt to debunk Palin&apos;s remarks about the national debt being like slavery. Try not to snarf your beverage when you read this but today Palin said to talking monkeys Steve Doocy and Brian Kilmeade, "It was refreshing to see, though, that many in the media did come out and say, &apos;Look, our standards have to be higher than this.&apos;"
And guess what? She&apos;s right. Cable news standards should be higher. 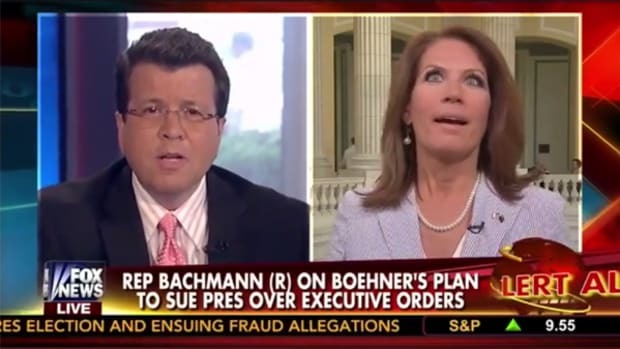 So perhaps Palin should begin with her own house: Fox News Channel. It&apos;s well documented and a huge understatement that Fox News wallows in its own egregiously awful standards -- far worse by a factor of a thousand than any other cable news outfit. The very existence of integrity-free Fox & Friends alone would make Paddy Chayefsky and Edward R. Murrow spin in their graves, say nothing of the existence of the standard-less network on which it airs. 1. Brian Kilmeade: "all terrorists are Muslims." Yes, he&apos;s an easy target, what with the brain damage and all, but this was particularly heinous considering, you know, the long list of non-Muslim terrorists such as the IRA, Timothy McVeigh or the Unibomber, not to mention scores of so-called "pro-life" terrorists who bomb abortion clinics and murder doctors. 2. Anchor Heather Nauert: YMCA swim class for Muslim girls proves Sharia Law is "everywhere." While we&apos;re on the Islamophobia topic, we might as well include this doozy. On Monday, Nauert was reporting on a nothing story about how a YMCA in Minnesota carved out a brief window of time for a swim class exclusively for Somali-American girls. Nauert, reading from a prompter, said, "Well, the minority becoming the majority at one community pool. Sharia law is now changing everything." Yes, everything. That is if a 30 minute block of time at a YMCA pool in St. Paul is "everything." 3. &apos;The Five&apos; host: breast cancer awareness = the feminization of the NFL. 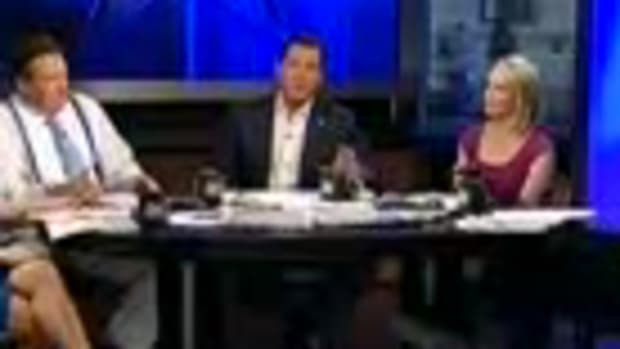 While chatting with proto-hominid Greg Gutfeld, Random-Anonymous-Female-Panelist-X on "The Five" went on rant about how the NFL has become feminized because some players are wearing pink cleats in recognition of breast cancer awareness. Yes, this is definitely an area that&apos;s ripe for flippant news commentary with a not-so-vague homophobic twist. Breast cancer awareness. Comedy gold. Next week, "The Five" will dig into childhood leukemia and sudden infant death syndrome. It&apos;ll be hilarious. 4. 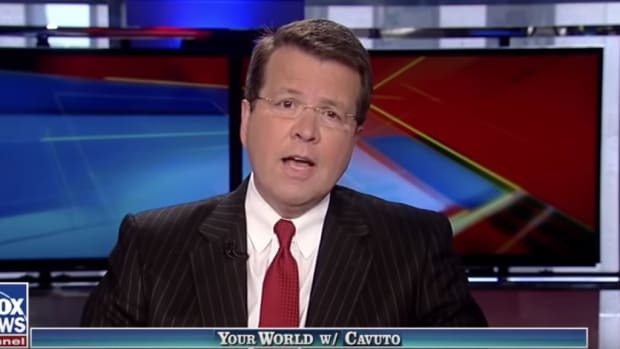 Fox News contributor Erik Rush: Obama should be overthrown by "any means necessary." Even though I wrote about this eliminationist nutball the other day, he still qualifies for the list. Fox News is infamous for hosting people like Rush who fantasize about armed revolts or even assassinating the president. Contributor Liz Trotta once said on Fox News: "...and now we have what some are reading as a suggestion that somebody knock off Osama -- Obama -- well, both if we could." Har-har. Even Glenn Beck hinted that we need firearms to protect ourselves from the president. He also joked about poisoning Nancy Pelosi. 5. John Stossel: Hanged Barney Frank in effigy. A New York Magazine reporter asked Stossel, "What&apos;s hanging above your sofa?" Stossel, always the classy one, replied, "Barney Frank in effigy." 6. Fox News outed the identity of SEAL Team Six soldier. As a result, websites belonging to al-Qaida affiliates, including Al-Fidaa, posted the SEAL&apos;s photo and name. In response, Fox News&apos; executive vice president John Moody said the soldier should have "no expectation of privacy." 7. Fox News contributor Liz Trotta: if you serve in the military, expect to be raped. Speaking of the troops the network claims to support, if you&apos;re a woman and in the military get ready to be raped one of these days because you clearly asked for it. By the way, it&apos;s Trotta again -- clearly not fired after joking about killing Barack Obama four years earlier. Here&apos;s the exact quote: "And the sexual abuse report says that there has been, since 2006, a 64% increase in violent sexual assaults. Now, what did they expect? These people are in close contact." Should I go on? Hell, I haven&apos;t even gotten to Eric Bolling yet. Here are four big ones. 8. Eric Bolling: forced vasectomies for welfare recipients. Yes, the government should round up poor people and force them to undergo a medical procedure in which their scrotums are opened and their vas deferenses are cut in order to make sure they don&apos;t have any more children. So much for small government conservatism. 9. Eric Bolling: President Obama is "chugging 40s." Now if Bolling had said "chugging poop" he totally would&apos;ve been fired, right? Higher standards, etc. No? 10. Eric Bolling: Obama hosted "hoodlum in the hizzouse." 11. Eric Bolling: Obama is lying about his birth certificate. ...because he&apos;s totally not. Unless by racist you mean someone who, on numerous occasions, underscored the president&apos;s race and ethnicity within the context of a widely debunked conspiracy theory that was invented solely as a race-baiting dog-whistle. Okay, so that was eleven -- not ten. And there are, of course, many, many more. Regardless of what Bashir said or the context in which he said it, nothing that&apos;s been said on MSNBC comes close to joking about assassinating the president or hanging a congressman in effigy or poisoning the House minority leader. So if we&apos;re going to address cable news standards, let&apos;s start by addressing the Fox News assassination fantasies and go from there. Maybe at some point way down the list of resignation-worthy trespasses we&apos;ll land on, you know, poop remarks.